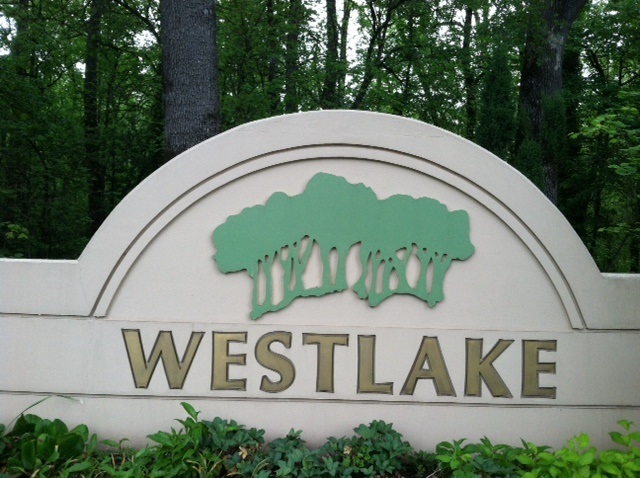 In honor of National Good Neighbor Day which is tomorrow, September 28, I’d like to feature another one of the great neighborhoods to live in here in Lake Oswego, Oregon–Westlake. You can tell a lot about a neighborhood by driving around. If you took a cruise around the Westlake neighborhood in Lake Oswego, here are a few conclusions you’d probably draw. 1. The location is great. Situated close to the I-5/217 interchange, Westlake offers convenience to working professionals. That’s one of the reasons Janet Schaefer settled there over 20 years ago where she lived before recently relocating. She was working in Portland and her husband’s commute took him to Woodburn so being able to hop on to I-5 was ideal for both of them. It also has its own retail center nearby with a couple eateries, salon, massage studio, gift shop, naturopathic clinic and several service businesses. 2. It’s kid-friendly. Chances are you’ll see kids playing in cul-de-sacs, in their yards, or riding bikes. Even though Schaefer’s children were grown when they settled in Westlake, she enjoyed watching all the kids around her grow up. Kids go to both Oak Creek Elementary and Lake Grove, and the junior high and high school are conveniently located too. 3. It’s dog and walker-friendly too. Sidewalks and pathways make it easy and safe to get around. Schaefer found that a big bonus for her two Golden Retrievers. The Westlake Loop runs for 2.8 miles along Kruse Way to Kruse Oaks, up to Melrose and down to Fosberg before joining back up with Kruse. 4. The park is a popular draw. Westlake Park at 14165 Bunick Drive is considered the city’s premier athletic park with three lighted baseball/softball fields, two lighted soccer fields, lighted tennis courts, full court basketball as well as a covered playground and covered picnic shelter. In the summer the popular Summer Concert Series is hosted here as well and families and friends gather to revel in the music and dance to the tunes. 5. The neighborhood association must be strong. Why would you think that? There is a cohesiveness to Westlake, tied together with harmonious architectural designs and landscaping, much of which is called for in the convenants and restrictions of the homeowners’ association. The association is there to protect the quality of life homeowners enjoy and members took an active role recently in opposing the zone change for the West End Building located nearby which would have increased the density of that property and impacted traffic through the Westlake neighborhood. One thing you may also notice is that there aren’t a lot of for sale signs posted. A recent RMLS search showed 13 active listings ranging from $379,00 to $1,095,000 with a median price of $557,500 and 35-40 days on the market. Currently I have a home listed at 4724 Avery Lane for $665,000. This wonderful traditional on one of Westlake’s most coveted streets features 4 bedrooms, 2.1 baths in 2,731 square feet of living space. Lush lawns both front and back with a great floor plan lends itself to entertaining both inside and out. Westlake is a highly desirable neighborhood in Lake Oswego, so if you’re interested, give me a call at 503.939.9801 and let me go to work for you. This entry was posted in Lake Oswego neighborhoods and tagged Lake Oswego neighborhoods, Lake Oswego Oregon, Westlake, Westlake neighborhood, Westlake Park. Bookmark the permalink.